We create career and practical opportunity ladders for students, graduates, companies, and communities interested in exploring and building equitable technology ecosystems. Digital Equity means we achieve inclusive and healthy social, economic, educational and civic outcomes for people of all races, incomes, genders and gender identities, and backgrounds. Digital Equity treats technology as a tool and not a determination, solution, or an end in itself. Digital Equity takes a structural, transdisciplinary, and intersectional approach. Technologies should be accessible and affordable. Digital Equity should protect personal and private data, and protect against wrongful group-based surveillance based on demographics. Everyone should be able to afford technology access, and should have resources and support to protect their digital privacy. Using technology should not reinforce or exacerbate harms and risks for vulnerable groups. All people should feel welcome to participate in digital life, express themselves, and explore ideas online without fear of violence, harassment, surveillance, or discrimination. Digital Equity aims to build a collective culture of digital consent and mutual accountability shaped by and for the benefit of the most vulnerable among us. Everybody should have agency to make decisions about the technologies that shape their lives, regardless of their level of digital skills or knowledge. Digital participants should have self-determination over their data bodies: everyone has the right to know and to determine what information they generate by using technology - what data is collected, how it is shared and used, and how to opt-out of unsafe or exploitative data extraction and targeting. Instead of reacting to challenges, harms, and risks as they arise, we should envision systems and standards that will build digital equity as technologies evolve. Accountable and transparent digital systems, standards, and common understandings can increase both access and safety before problems arise. Our technological systems should reflect the best society we can collectively imagine, now and in the future. 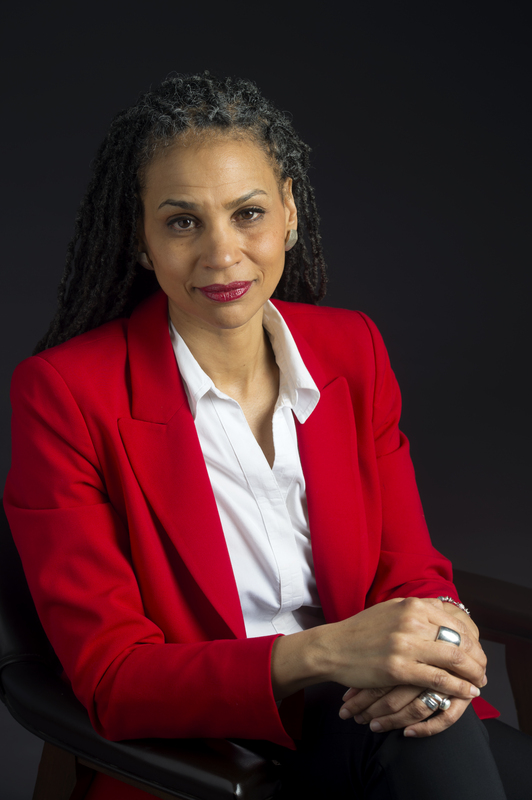 Maya Wiley is a nationally renowned expert on racial justice and equity who currently serves as the Senior Vice President for Social Justice, co-director of the Digital Equity Lab, and the Henry Cohen Professor of Urban Policy and Management at The New School’s Milano School of International Affairs, Management & Urban Policy. Prior to her work at The New School, Maya served as Counsel to the Mayor of the City of New York from 2014-2016, where she led efforts to expand affordable broadband access and advance human rights and gender equity. In this work, she supported efforts to scale up community-based models of resilient digital infrastructure that had proved essential during Hurricane Sandy. She has also been an advisor to the City of Detroit in the development of a digital equity strategy. Ms. Wiley has litigated, lobbied the U.S. Congress, and developed programs to transform structural racism in the United States and South Africa. She is also the founder of the Center for Social Inclusion, and has worked for the Open Society Foundation in the U.S. and in South Africa, the NAACP Legal Defense & Educational Fund, Inc., the American Civil Liberties Union and U.S. Attorney’s Office for the Southern District of New York. Greta Byrum reimagines the way we design, build, control, and govern communications systems. As Co-Director of the Digital Equity Laboratory, she builds digital justice through applied research, community projects, and policy strategy. Previously Byrum founded and led the Resilient Communities program at New America, where she developed and led Resilient Networks NYC, an initiative bringing training, tools, and equipment for storm-hardened mesh WiFi to five neighborhoods in NYC's flood plains. Earlier, as Senior Field Analyst with the Open Technology Institute, Greta helped to build the “Digital Stewardship” approach to community technology in collaboration with the Allied Media Projects in Detroit and in the Red Hook Initiative Brooklyn. While at OTI, Greta produced a suite of recommendations for community-led broadband planning, developed an impact evaluation plan for the nationwide public-private partnership EveryoneOn, and contributed to evaluations of other broadband programs including Federal stimulus projects in Detroit and Philadelphia. Her public speaking includes a keynotes at the 2017 Meeting of the Minds summit, featured talks for Futureshocks 2018 at the Museum of London, Bloomberg Live, MozFest 2017, Moogfest 2016, SXSW 2015, 2016, and 2018, and talks and workshops at Harvard’s Berkman Center for Internet and Society, Re:Publica Berlin, the American Planning Association summit, MIT's Urban Risk Lab, the Net Inclusion Summit, the Personal Democracy Forum, and interviews on Cleveland Public Radio and Marketplace Tech. Her writing on resilience and community technology has been featured in Politico, The Atlantic, Pacific Standard, Slate, Real Clear Policy, the International Journal of Communication, and the Journal of Community Informatics. Greta is an avid micro-radio broadcasting enthusiast. She holds an MS in urban planning from Columbia University and an MFA in poetry from the Iowa Writers' Workshop. She was also a 2017 Loeb fellow with the Harvard Graduate School of Design, where she focused on democratizing communication systems for communities affected by climate change and systemic inequity. She serves on the boards of the Metropolitan New York Libraries Council and the Earth Harmony Sanctuary.